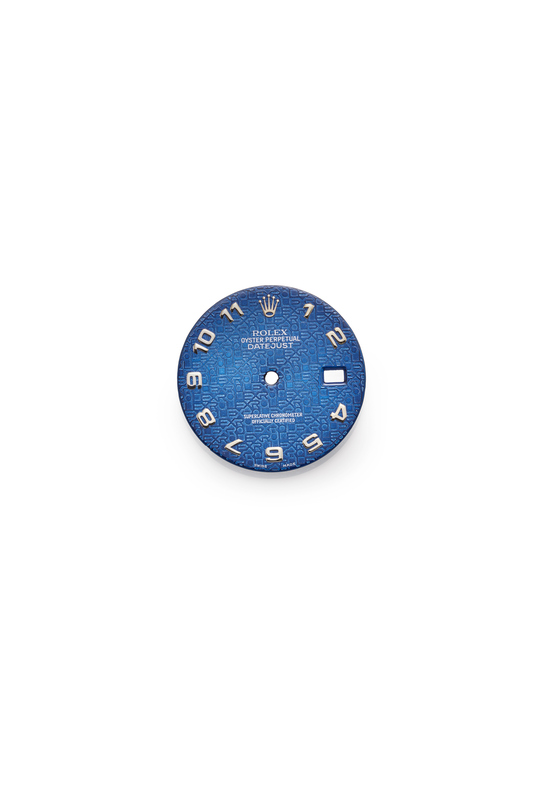 Rolex Jubilee Dial, Midnight Blue, With Applied Yellow Gold Radial Arabic Numerals, Aperture For The Date, To Fit Cal. 3035. Rolex Oyster Perpetual, Datejust, Superlative Chronometer, Officially Certified.